Hand Picked Hotels, the UK’s leading independent collection of country house hotels and spa resorts, has announced two new General Manager appointments; Peter Dornom at Norton House Hotel & Spa near Edinburgh and Richard Storey at Woodlands Park Hotel in Surrey. Peter Dornom is a seasoned hotelier with over 33 years’ experience in the hospitality industry and joins Norton House Hotel after 23 years with Marriott and Whitbread, most recently following 15 years as General Manager of the Marriott in Edinburgh. After beginning his career with a traineeship at Selsdon Park Hotel in Surrey, Peter took on management roles in operations at the Copthorne Hotel Birmingham, the Goodwood Park Hotel, Golf & Country Club and Tewkesbury Park Hotel, Golf & Country Club, before his first General Manager role in 1996 at the Stone House Hotel in Staffordshire. 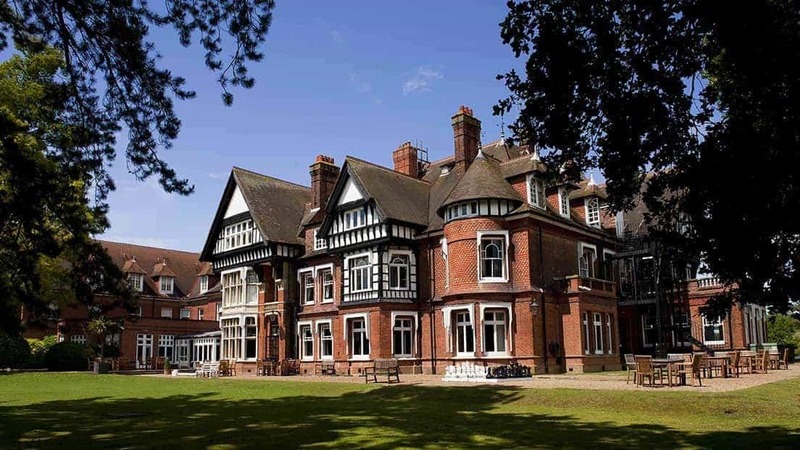 Storey joins Woodlands Park Hotel in Cobham, Surrey, with extensive experience in the region having worked in multiple locations across the South East. Richard moves across to Hand Picked Hotels after nine years with IHG (InterContinental Hotels Group), most recently as General Manager of the Crowne Plaza Marlow and prior to that at the Holiday Inn Chessington. Prior to IHG, Richard spent 13 years with Hilton at destinations including Bracknell, Basingstoke, Newbury, Watford and Southampton. Both roles report into Hand Picked Hotels’ Operations Director, Douglas Waddell, who commented on the appointments: “I am delighted to welcome Peter and Richard to the Hand Picked Hotels family. Both Peter and Richard bring exceptional industry and market knowledge to their operations, and this, combined with their steadfast commitment to customer service and strong people development skills, position them as ideal leaders within our business. I look forward to working with them as we further strengthen our team and grow our customer base. Dating back to 1840, Norton House Hotel is located just 20 minutes from the centre of Edinburgh and seamlessly blends historic character with contemporary elegance. The hotel offers 83 bedrooms including feature suites in addition to an award-winning health club & spa, 13 meeting rooms, the Brasserie restaurant, the conservatory lounge and drawing room and 55 acres of exquisite grounds. Peter commented on his appointment, “I am very excited to join Norton House Hotel & Spa as General Manager. It is a very special place with extensive facilities and a fine reputation for all occasions, and I look forward to working with my new team to create many more special moments for our guests to enjoy in the future. The Grade II listed Woodlands Park Hotel near Cobham, Surrey, is an established hotel with a first class reputation, offering 57 bedrooms, a 2 AA Rosette restaurant the Oak Room as well as the recently re-launched Bensons Brasserie. The hotel sits in six acres of picturesque gardens and is within easy reach of central London, providing city residents with an ideal escape to the country. Richard added, “With new initiatives in place to further enhance the facilities at Woodlands Park Hotel and place it firmly back into the very centre of the local community, it’s a fantastic time for me to be joining the group and I am delighted to bring my brand experience and local knowledge to the fore to continue the hotel’s successful path to date.